Predictions are for a colder winter than either of the past two. If the polar vortex returns as the country moves increasingly to natural gas for electric generation, some Americans might have a tough time keeping warm, or at least paying for it. While pipeline projects to accommodate the new consumption are underway or nearing regulatory approval, they won’t be ready this winter. And for many—who’ll be just as cold as anyone else—if they’re ever built it will be too soon. Last time the vortex dipped into the Northern Hemisphere’s populous areas, it wasn’t yet fashionable to generically oppose all pipeline construction anywhere. But now the words “natural gas pipeline” have been made synonymous with “climate change”—a double irony since in 2014 it took old coal-fired plants on the brink of retirement to save the Northeast from punishing cold, and new pipeline capacity would feed generating plants that emit half the carbon dioxide of those that proved indispensable four years ago. Today, it’s impossible to browse energy trade publications without seeing reports of protests, construction site occupations, and lawsuits aimed at preventing expansion of pipeline capacity and—a third irony—staged often as not in regions where memories of the vortex ought to remain fresh. In Minnesota, controversy erupted in October when it was found that $3,300 in state sales tax revenues went toward a grant financing a Michigan State professor’s creation of a video game called “Thunderbird Strike.” Players control an on-screen bird that destroys petroleum infrastructure by aiming lightning strikes at refining facilities, trucks, and pipelines. The Department of Energy (DOE) recently reported that between 2002 and 2016, coal-fired generating capacity totaling 59,000 megawatts was retired, and planned retirement of almost 5 percent of U.S. nuclear capacity was announced, mostly ahead of license expirations. The DOE’s Energy Information Administration (EIA) foresees another 12,700 megawatts of coal, and eight more reactors comprising 7 percent of remaining U.S. nuclear capacity, retiring by 2020. The shift of generation away from coal and nuclear was already underway four years ago and continues, with many coal retirements clustered in 2015. 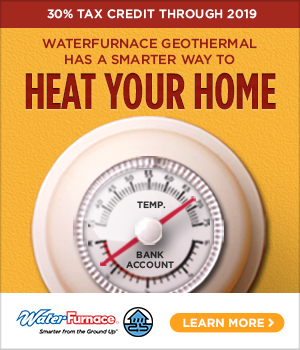 This increases demands on the same natural gas pipeline system that delivers home heating fuel. January 2014’s extreme cold contributed to more than 19,000 megawatts of generation outages, partly by impeding natural gas transportation. Shortages triggered price spikes for home heating fuel and wholesale electricity, particularly in eastern states, prompting legislative investigations of suspected price-gouging. Possibly some were guilty of exploiting the situation—available to be exploited because of deliberate policy choices and the lengthy lead time for infrastructure upgrades to catch up. Among contributing factors, the only coincidence was weather. In this part of the country the story differed somewhat. The steep hills and valleys of western Wisconsin’s coulee and driftless regions—places not flattened by the glaciers of the last Ice Age—aren’t especially hospitable to pipeline construction. Rural residents are less likely to use natural gas for home heating and more likely to rely on propane. So when deliveries were constrained by the combination of barely adequate capacity and other commodities competing for rail transport, propane became Wisconsin’s crisis fuel of 2013–14. Households that hadn’t locked in lower costs with pre-season contracts endured painful price spikes and iffy supply. Wisconsin was fortunate to see a major addition to its propane-handling capacity in 2014 in Hixton. But compared with other regions suffering through the same winter, Wisconsin was relatively swift resolving its problem. State government guaranteed loans to help propane retailers obtain supplies and pushed up the application date for energy assistance. In the private sector, CHS, the nation’s largest farmer-owned cooperative, began work on a new propane terminal at Hixton in Jackson County. 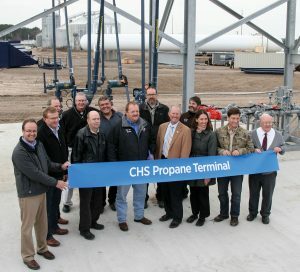 Operating by fall 2014, the terminal is part of a CHS infrastructure investment that added approximately 15 million gallons annually to Wisconsin’s propane supplies. Bigger supplies may be very good news this year because in mid-October the EIA cited projected colder temperatures—not significantly higher gas prices—as the driver of a 2017–18 heating season expected to be costlier than either of the past two. If the projection pans out, opposition to infrastructure projects may be about to collide with heightened demand for the necessities that infrastructure delivers. The spirit of protest has been at fever pitch at least since last winter’s occupations along the Dakota Access pipeline. In March, the Army Corps of Engineers and local officials reported clearing three abandoned camps of more than 8,000 cubic yards of trash and rescuing a dozen dogs and puppies left behind by the thousands protesting the pipeline’s environmental impact. But most of the activity occurs indoors. In August, a federal appeals court ruled for the Sierra Club, saying federal regulators improperly approved a pipeline to move natural gas to Florida power plants, having failed to assess the global warming impact of burning the gas. This is expected not to halt approvals but to encourage opponents to sue, lengthening regulatory review, delaying construction, and increasing costs. In October, the Ohio Supreme Court affirmed the constitutionality of the City of Bowling Green seeking to amend its charter and outlaw new pipeline construction within its boundaries. Let those examples suffice, but with scant effort, we gathered a list of 14 projects targeted for protest or blocked by government officials. The urgency was underlined when the Northeast got an early taste of winter. The National Weather Service reported a low of 24 degrees recorded November 11 at New York’s Central Park, breaking the previous record low of 28 for that date and location, set in 1933. Meteorologist Ryan Maue of Weather.us attributed the cold snap to the polar vortex pushing arctic air into southern Canada and parts of the United States. This fall, Federal Energy Regulatory Commission Chairman Neal Chatterjee said gas-fired generation is less reliable than baseload coal or nuclear because the latter two maintain on-site fuel supplies. Fellow Republican Commissioner Robert Powelson contradicted Chatterjee, opposing new market rules to keep economically troubled baseload generation viable and saying it’s untrue that gas plant performance was problematic during the 2014 vortex. In a July Forbes opinion piece titled “America’s Next Energy Crisis,” Obama administration Assistant DOE Secretary Charles McConnell argued for preserving baseload generation and stressed the need for a diversified energy supply, a key priority of electric co-ops frequently at odds over that very issue with the administration McConnell served. Two-thirds of Massachusetts’ electricity is generated with natural gas. Now, Massachusetts legislators propose banning all fossil fuels for electric generation, transportation, and heating; they call for 100 percent renewable energy by 2050. The proposal overlooks a word that’s crucial when renewable energy advocates say natural gas “enables” renewables. It acknowledges the necessity of equivalent generating capacity from dispatchable sources—generally gas— available to substitute immediately for intermittent renewables when clouds hide the sun, night falls, or the wind doesn’t blow. On any regional grid, adding renewable generation will at some point necessitate adding dispatchable capacity. Whichever choices prevail, more gas will be needed, with more pipelines to deliver it. The Times explained that to meet demand amid the vortex, Columbus, Ohio-based American Electric Power, a major eastern-market supplier, needed 89 percent of the coal-fired plants it would be compelled to retire in 2015.